During one of several conversations with Chronic Babe (aka Jenni) at ePatient Connections, our convo turned to shoes. This happens whenevver women converse for more than 10 minutes, or so I believe based on years of experience. Since my Crohn’s manifests in joint pain and because my hips are chronically out of whack, I need to wear comfortable flats, despite the fact that my inner badass would rather be in 6-inch Laboutin stillettoes. 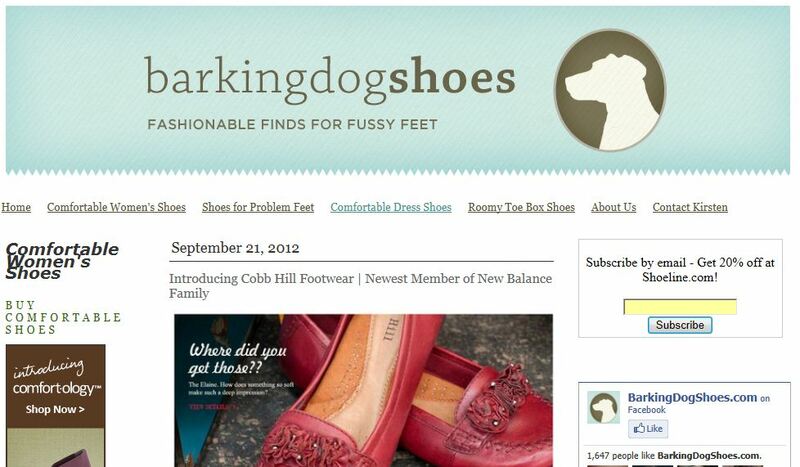 Jenni’s shoes were adorable AND looked comfortable, and she highly recommended her friend’s site Barking Dog Shoes. Holy moly, this place is a relevation. They’ve got answers for any type of foot problem (although it seems to just be for women, sorry guys.) They try out and recommend brands. What a fantastic resource.